'Pokémon GO' is about to pass Twitter's number of daily users! With the advent of internet gaming, the formally reclusive hobby has increasingly become more social. Now, games like Pokémon GO require players to get out and interact with fellow gamers as well as their surroundings. According to data released by SimilarWeb, the AR game is about to become more popular, in terms of daily users, than Twitter. Therefore, this data is extremely promising to the future of AR gaming. 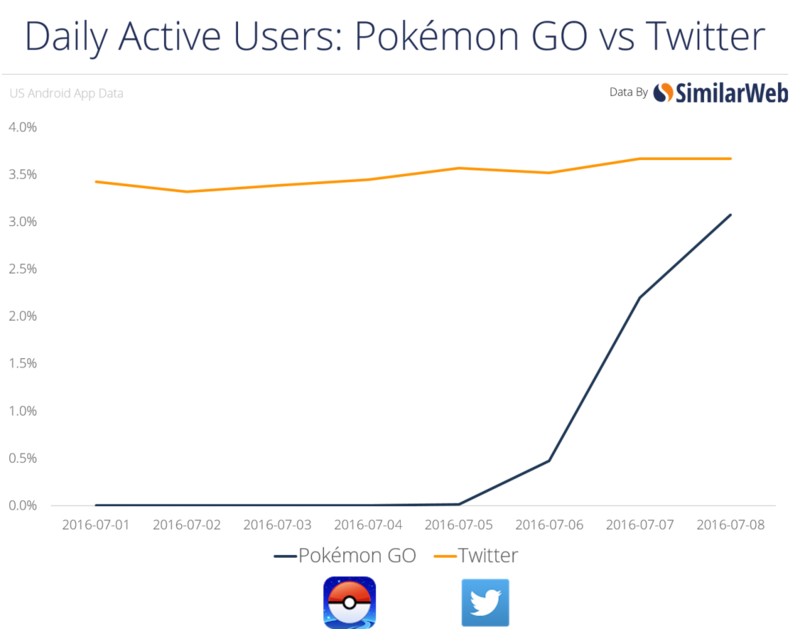 Even in its infancy, Pokémon GO is a formidable contender in the world of social media and a strong indicator of more AR to come.